A Better Way To Make You Better. ​"If you want to find the secrets of the universe, think in terms of energy, frequency and vibration." Nikola Tesla. "Energy medicine is both the diagnostic and therapeutic use of energy whether produced by or detected by a medical device or by the human body itself. Energy medicine recognizes that the human body utilizes various forms of energy for communications involved in physiological regulations." "Energy medicine involves energy of particular frequencies and intensities and wave shapes that stimulate the repair of one ore more tissues. Examples of energy include heat, light, sound, gravity, pressure, vibration, electricity, magnetism, chemical energy and electromagnetism." ​"It may come as a surprise to many to learn that energy medicine has been part of human history for thousands of years. Vortices of energy over nerve plexes and endocrine centers of the body as well as the third eye and the crown of the head, with small votices at each point. They are functional rather than anatomical structures that are connected to the meridians and acupuncture points. Numerous researces have shown elevated electronic recordings from these locations, particularly with persons in the higher states of consciousness or with extrasensory abilities." "The human body is a miniature version of the larger surrounding universe. Harmony between two opposing yet complementary forces support good health. Poor health and disease result from an imbalance between these forces." "Five elements, fire, earth, wood, metal and water symbolically represent all phenomena, including the stages of human life and explain the functioning of the body and how it changes during disease. Vital energy that flows through the body, performs multiple functions in maintaining good health." "Disease has a pattern, a rhythm, which can be observed by a skilled therapist and brought to the attention of the patient so they may recognize the pattern and offer the chance for the parient to stop it and create a new pattern. This may be supported by the healthcare professional and the use of the Ondamed which so powerfully and even so gently recalibrates our cellular vibration." ​​The CellWell Ondamed Biofeedback is non-invasive, there is no cell damage caused by radiation, it is completely safe and effective and compliant with the Hippocratic Oath. ​The CellWell Ondamed Biofeedback locates hidden physiological & emotional causes of dysfunctional and weak cells even before symptoms appear. At the same time, these cells receive the needed stimulation to balance and enhance a specific area of your body to help the body to heal itself. In 1994 Rolf Binder, a German engineer, used the effects of physics, the foundation of chemistry-based practice of traditional medicine, to create a more precise way to discover the state of a human being’s wellness condition. It is a different type of communication between the healthcare professional and the patient/client. It evolves the body’s sub-conscious and embedded cellular memory levels. This new physiological and emotional assessment, together with a simultaneous therapeutic stimulation cannot be controlled or manipulated by anyone, instead it relies on real-time reaction of the body’s pulse feedback response to pulsed electromagnetic fields. 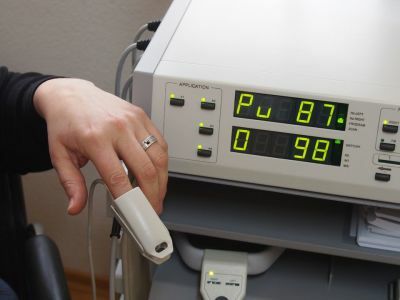 The CellWell Biofeedback device is an instrument that provides a visual or auditory signal corresponding to the status of one or more of a patient's physiological parameters (e.g., brain alpha wave activity, muscle activity, skin temperature, etc.) so that the patient can control voluntarily these physiological parameters. After more than 20 years of research and clinical use in Europe, North & South America, Asia and Australia , these advanced Class II-a medical technologies are approved in many countries for use by medical healthcare professionals and patients with their doctor's prescription. The brilliance lays in the personalization of treatment unique to each living being with the help of a Biofeedback method. This non-invasive therapeutic approach helps patients improve their stress tolerance. Stress is linked to most common disease. It is therefore critical to offer our patients relaxation training and improvement of attentiveness to their bodies, and their state of emotion. CELLWELL ONDAMED BIOFEEDBACK IS A METHOD DESIGNED FOR YOU TO SUCCEED WITH YOUR PATIENTS. CellWell Ondamed Biofeedback Assessment is used in 45 countries. is now available in Australia and New Zealand. ​ By Wolf-Dieter Kessler, M.D. To all Health Practitioners, Doctors, Medical Centres and Hospitals. full training and backup support. For an outlay of under $290.00 per week may return well over $7,000.00 per week. Please complete the enclosed form to receive full details. Thank you. CellWell Biofeedback Assessment is a device that produces a highly focused pulsed electromagnetic field that penetrates deep into a targeted region of the body to painlessly stimulate tissues and "jump start" cellular activities. CellWell Biofeedback Assessment system complements other treatments, such as pharmaceuticals, homeopathic remedies, nutritional supplements and other therapeutic modalities; helping patients respond faster and have longer lasting effects. CellWell Biofeedback Assessment supersedes all previous inventions in specificity, versatility, and effectiveness. Patients and practitioners using CellWell Biofeedback Assessment have reported benefits on all levels of wellbeing. Energy Medicine for the 21st Century. Biofeedback - The talisman for robust good health. 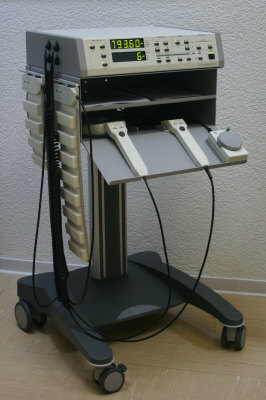 CellWell Biofeedback Assessment is a comprehensive therapeutic system that combines the emission of magnetic fields with biofeedback techniques. Individual response depends on the functional integrity of body organs and tissues, which vibrate in total harmony, unlike what occurs when illness is present and harmony is disrupted. Ondamed augments the healing process.